The Mystery Ranch Big Horn is a mid-sized Tri-Zip pack designed with hunters in mind and growing in popularity with the bowhunting community. 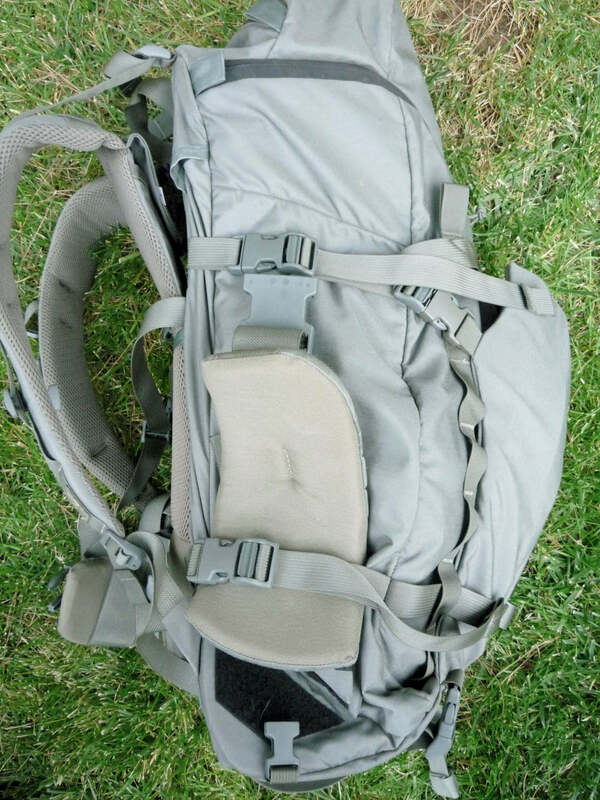 This pack has enough room and internal compartmentalization for all your gear and kill; featuring 2 internal sleeves, 2 internal pass-through pockets, 2 daisy chains, a beaver tail and a top pocket. 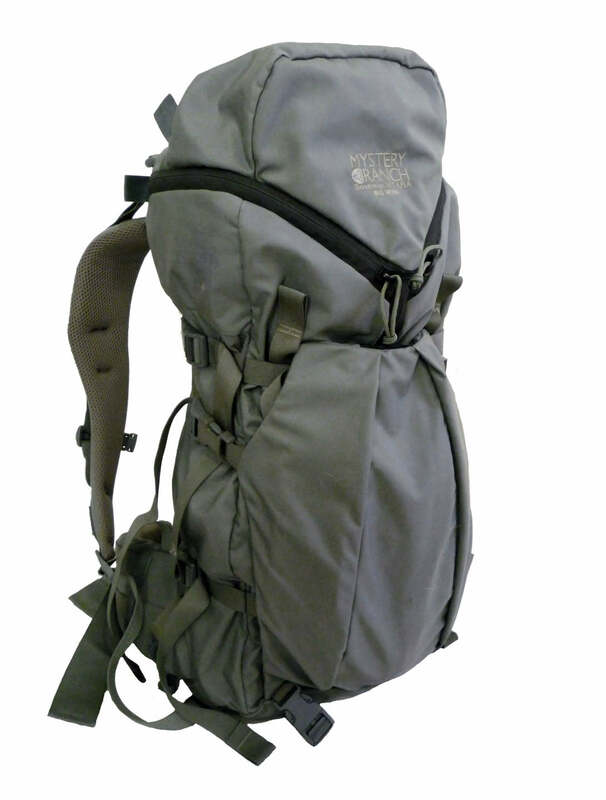 Beaver Tail: 10.5" x 15.5"
General Layout: The Big Horn's access is Mystery Ranch’s famous Tri-Zip design with YYK Uretek #10 coil zippers with two compression straps routed in a way that back up the vertical zip. 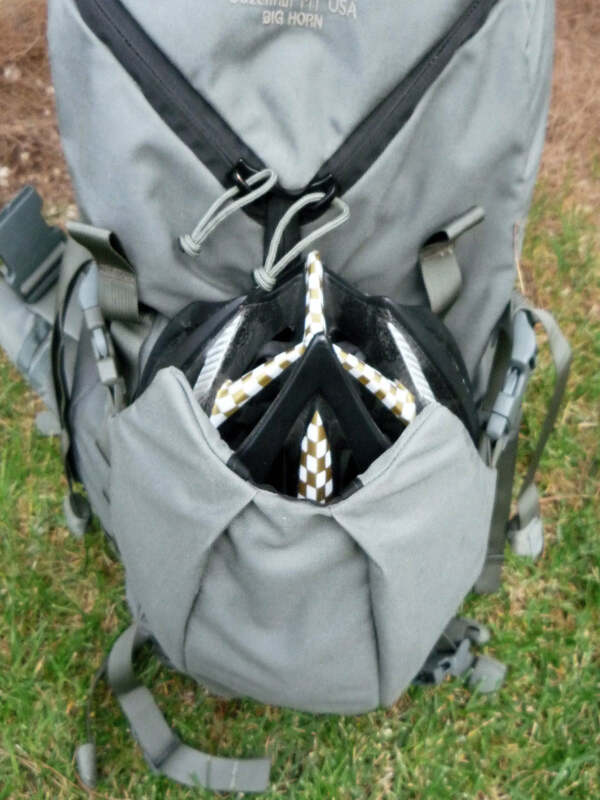 The top pocket has external access with a mesh bottom for visibility and weight savings. 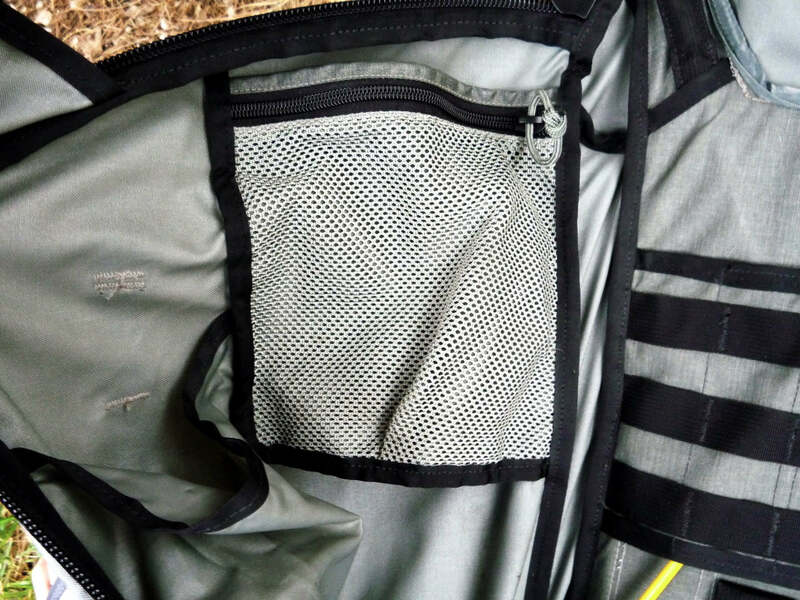 The inside features two pass-through mesh pockets that lay flat at 7” x 7” and two sleeves nearest the vertical zip that are 15” long and approx 3.5” x 3.5”. A modest 4 columns and 3 rows of PALS is located in the upper-back interior and backed with hook to accept their Spadelock accessories for increased internal compartmentalization. 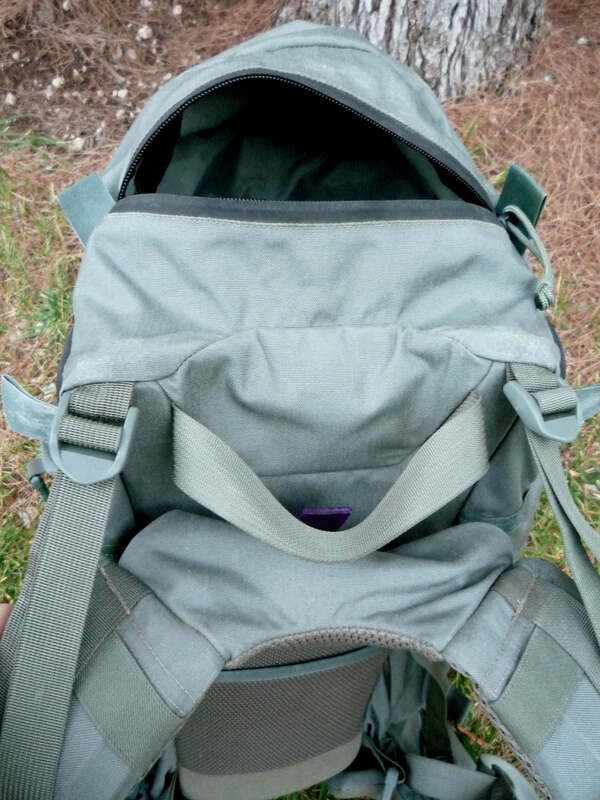 Above this is a hang loop for a bladder as well as hydration ports on both upper corners of the bag. 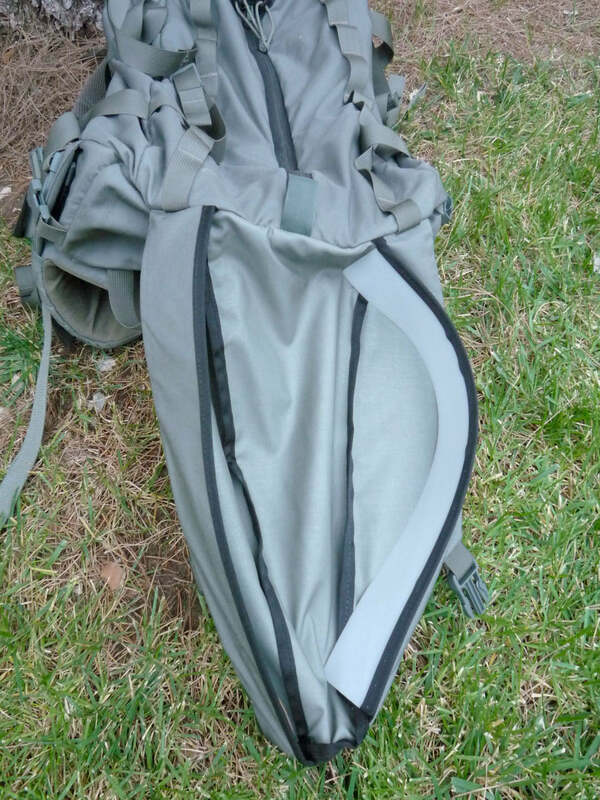 On the bottom of the bag a single drain grommet can be found as well as two vertical compression straps that are long enough to lash a sleeping mat and other various gear. The Stick-It pocket is an integrated “beaver tail” that has two internal HDPE plastic stiffeners which allow it to expand and encapsulate whatever’s placed in it. 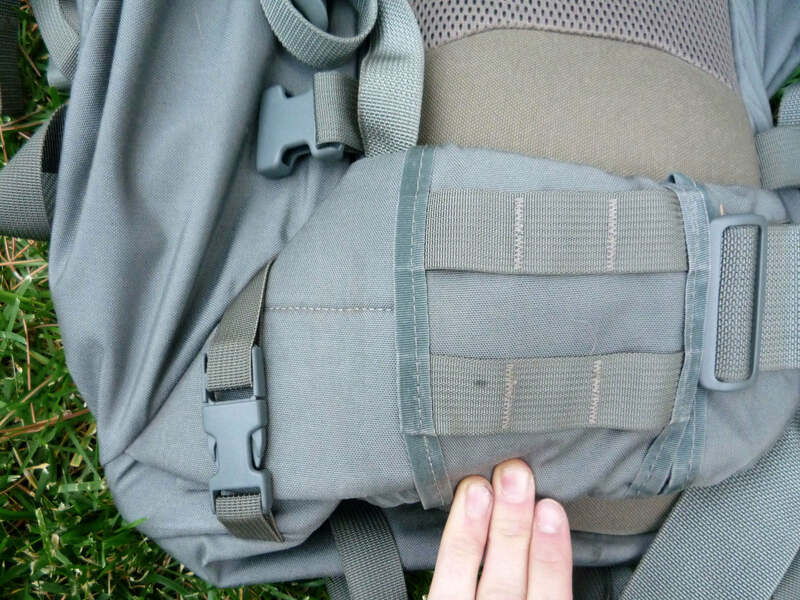 The top attaches to the bag via two side release Auto-Lok buckles. The frame has two exposed fiberglass rods oriented in a pivoting X configuration, for a height of 22”, backed by HDPE plastic that runs the entire length of the pack. 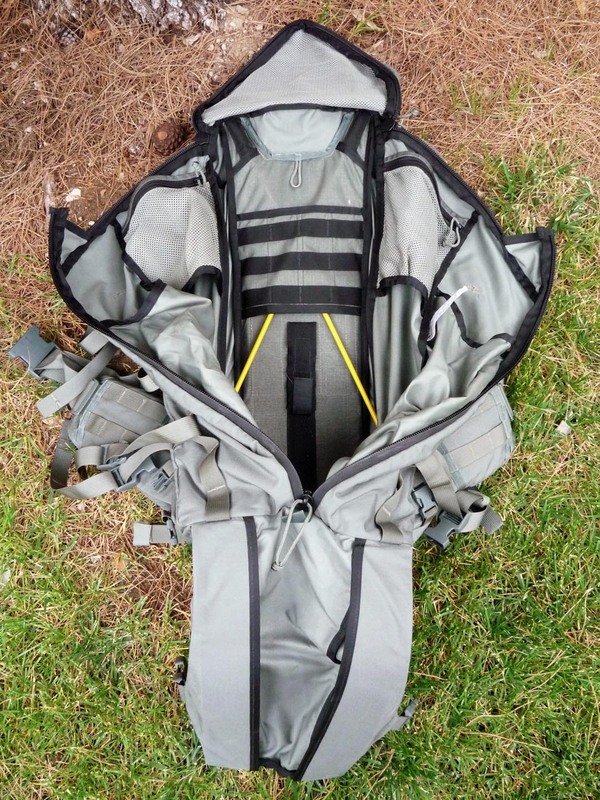 A removable, contoured aluminum stay provides support for the lumbar region and is housed in webbing that is secured by hook and loop. 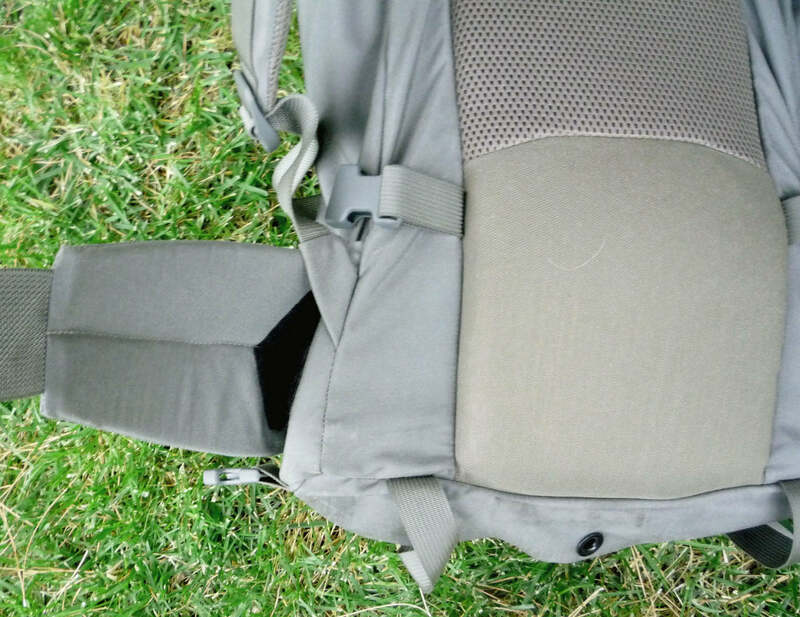 The frame transfers the weight to MR’s Live Wing waistbelt. 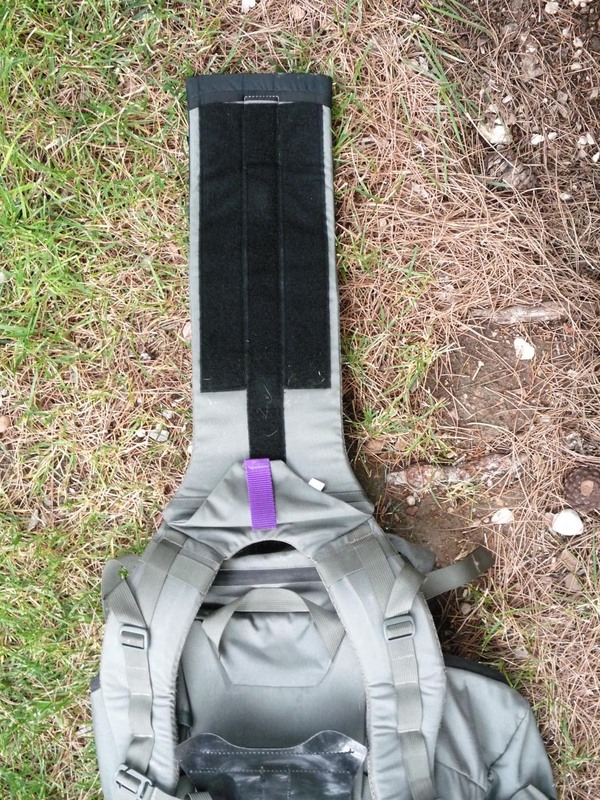 This system has two closed cell foam stiffeners that protrude outside the bag. 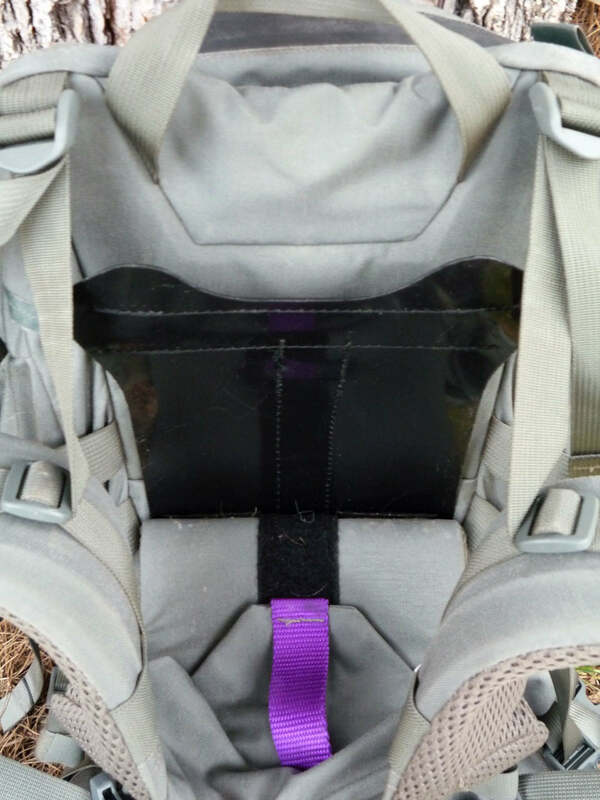 The open cell Live Wing pads slip over these and are attached by being sandwiched between hook and loop and secured with a .75” side release buckle. 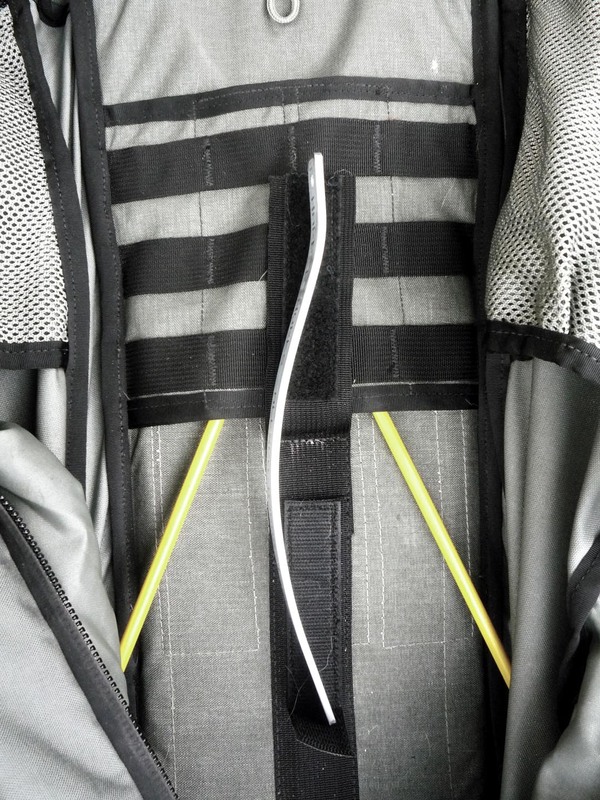 The pads are removable, stowable and have three columns and two rows of PALS webbing. The Big Horn utilizes MR’s Futura Yoke system which consists of a removable, curved composite sheet housed in a sleeve that is secured shut by hook and loop. 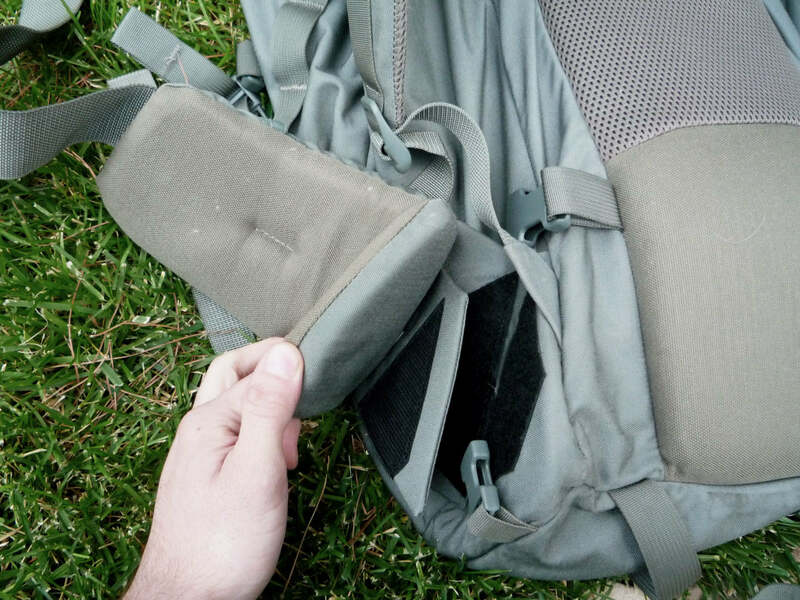 The composite sheet acts as a stiffener for support and doubles as a wedge for unhooking the hook and loop that secures the yoke to the pack, which allows the yoke to be adjusted to a user's height. 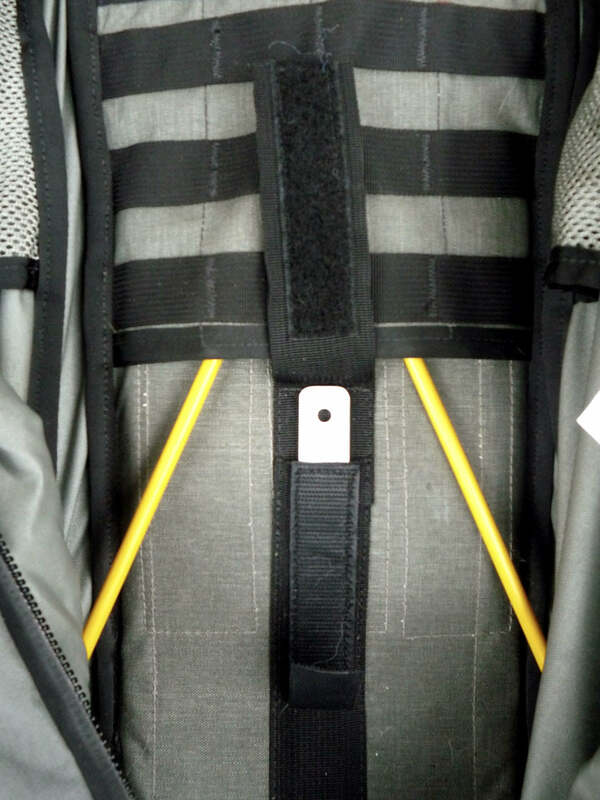 The padded shoulder straps come with a removable sternum strap and have HDPE reinforcements to help the shoulder straps maintain their shape when being pulled by the load lifters.